Memorial Day weekend brought news of the passing of another kind of veteran. A veteran of the radio wars. A guiding inspiration who helped many of us win -- and win BIG. Celebrated voice talent and imaging conceptualist NICK MICHAELS passed away unexpectedly due to a massive heart attack. 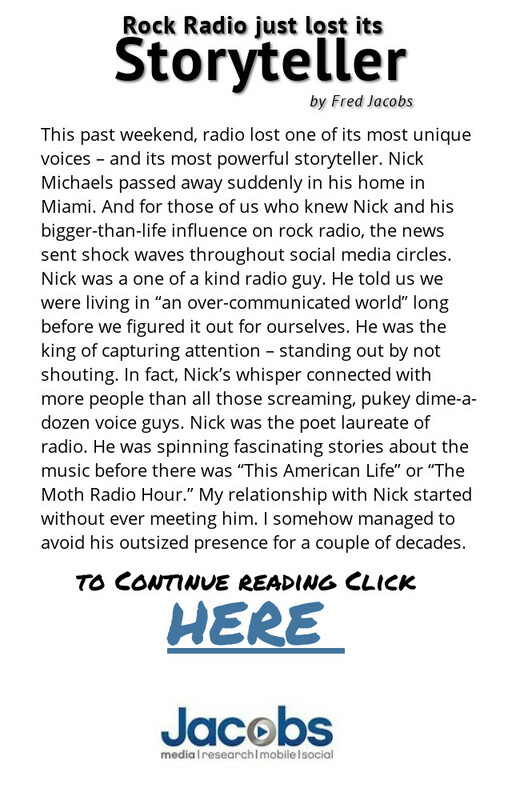 Nick was a passionate media thought leader and innovator, who saw where much of the radio industry has headed, without ever losing his ever-evolving vision for what the audio experience could be. This episode features Nick sharing his insights and observations for the state of radio, and where it CAN be, along with examples of some of his finest audio work. There are many very good posts and tributes to Nick’s work which can be found on the internet. 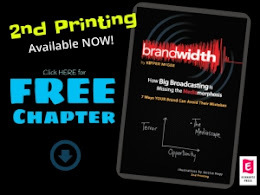 Perhaps one of the most salient was a blog post by fellow Brandwidth On Demand guest Fred Jacobs. The following is reprinted by permission of Jacobs Media.